His Excellency Shaikh Khaled bin Humood Al Khalifa, Chief Executive Officer (CEO) of the Bahrain Tourism and Exhibitions Authority (BTEA), received in his office Wednesday morning, January 9, 2019, the German Ambassador to the Kingdom of Bahrain, H. E. Kai Boeckmann, in the presence of the Director of Marketing & Tourism Promotion of BTEA, Mr. Yousef AlKhan. During the meeting, they discussed enhancing bilateral cooperation and strengthening the ties between the two countries; as well as the BTEA’s strategy which aims to develop the local tourism sector under the slogan of ‘Ours. 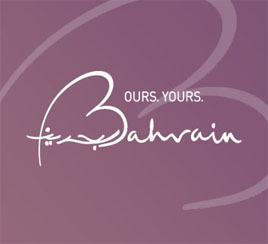 Yours,’ which contributes towards the Kingdom’s economy and the 2030 Economic Vision. During the meeting, H.E Shaikh Khaled bin Humood Al Khalifa stressed the importance of enhancing cooperation and upgrading bilateral relations across all industries, especially in the tourism sector, as a key pillar of the development of the national economy as a whole. In addition, discussions included achieving common objectives through the adoption of tourism initiatives that benefit both Bahrain and Germany. H. E. Kai Boeckmann expressed his gratitude for the warm welcome and hospitality received during the meeting, stressing his readiness and commitment to further enhance joint cooperation between both countries and further explore other supporting bilateral initiatives. The aim of the tourism strategy is to increase the number of visitors coming into the Kingdom, positioning the tourism sectors’ strategy that focus on four main pillars ‘awareness, attraction, access and accommodation’, contributing towards the tourism sector and the national economy.